Hello and welcome! 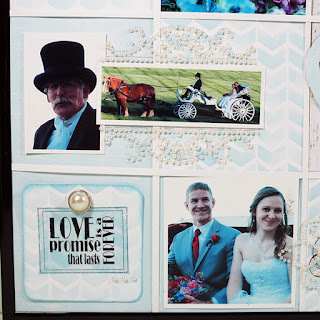 Susie here today sharing a wedding gift I created featuring the Farmhouse Collection. 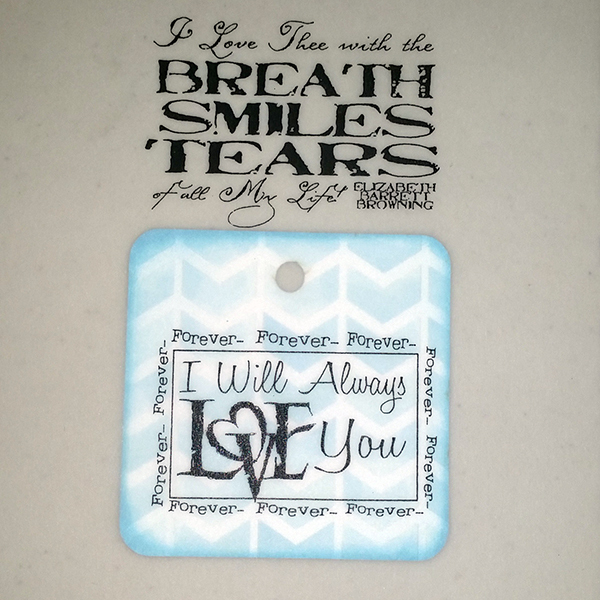 One of my favorite things about papercrafting is being able to create personalized gifts for the special people in my life. A couple of weeks ago I attended a beautiful wedding and I decided to create a framed layout as a gift. I started with Farmhouse 101 as the background and added 1/8" strips every 3 inches horizontally and vertically to create a grid. 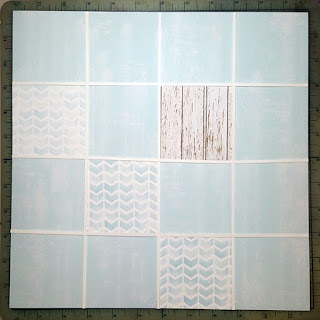 I cut 3" squares from Farmhouse 101 and 104 and added them to the page. I had some tags that were cut from Farmhouse 101 that are approximately 2-1/3" squares. 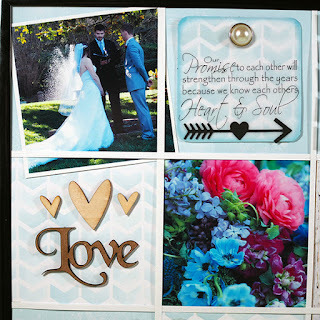 First, I inked the edges with Sky Blue PowderPuff Ink and then placed them under vellum quotes with a wedding theme. 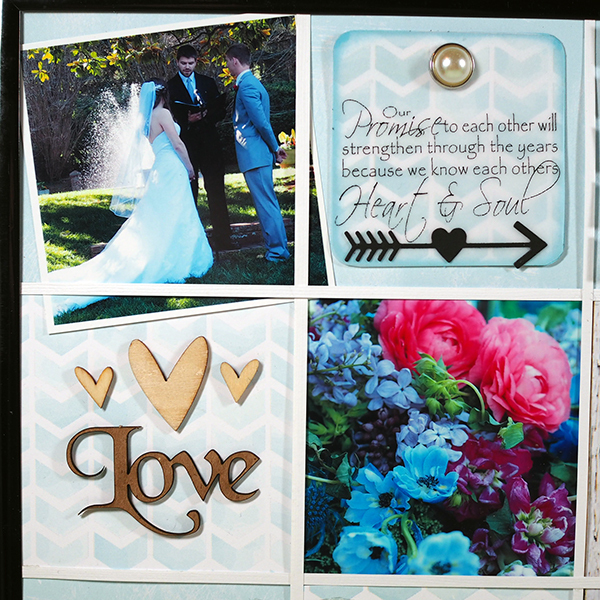 Next, I marked the edges with a pencil, trimmed them out, and added a pearl brad before I adhered them at different spots around the layout. 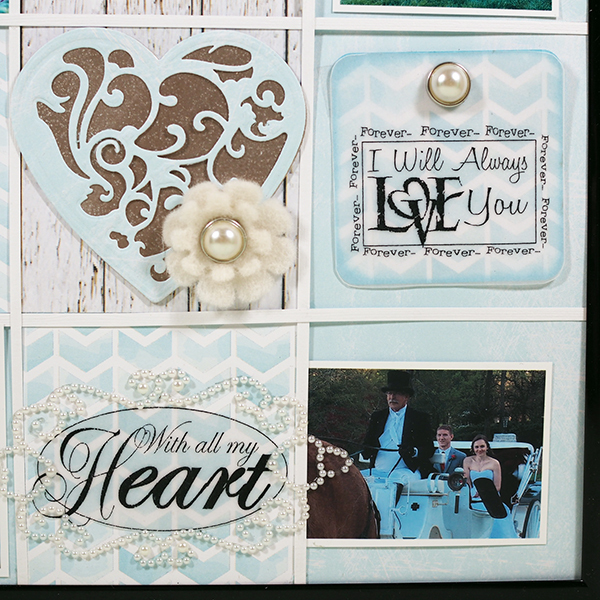 I added pictures and mixed in a variety of embellishments. 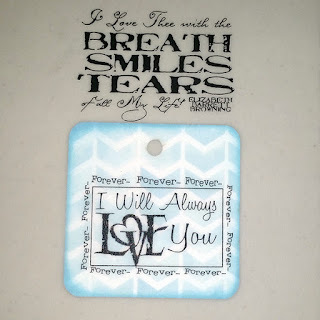 Here I used a chipboard word, wood veneer hearts and a die cut arrow. 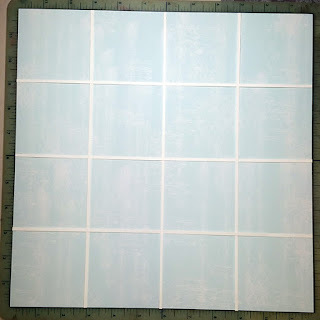 I stamped the word strips in Sky Blue ink and popped them up with 3D Foam adhesive. The dog tagged shaped charm reads "Live, Love, Laugh". 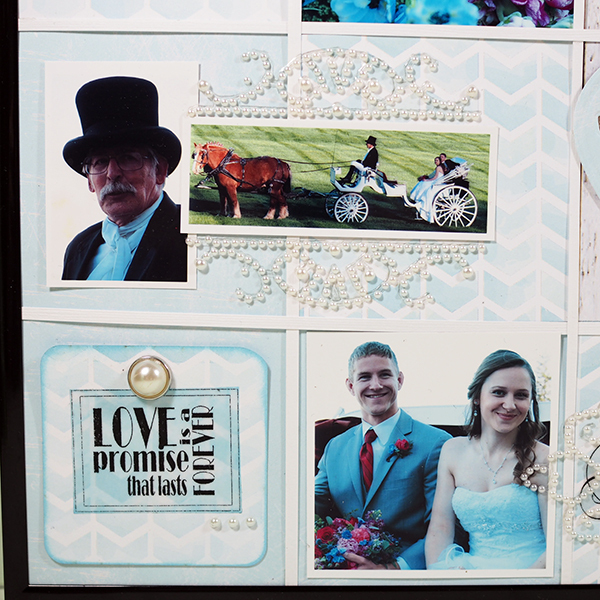 I used fancy pearl bling to frame a small photo of the bride and groom arriving to the reception in a horse drawn carriage! I die cut a fancy heart and backed it with a piece of cardstock I had heat embossed with Platinum. There is more fancy pearl bling surrounding the vellum at the bottom of the page. When you can't find exactly the right words, check out the wonderful selection of vellums from Quick Quotes! 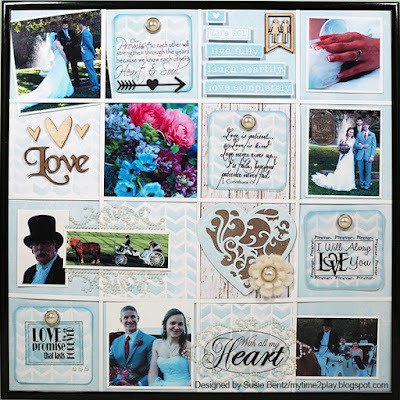 The ones I chose are specific to love and weddings, but they are available in a wide variety of themes. This is so pretty! 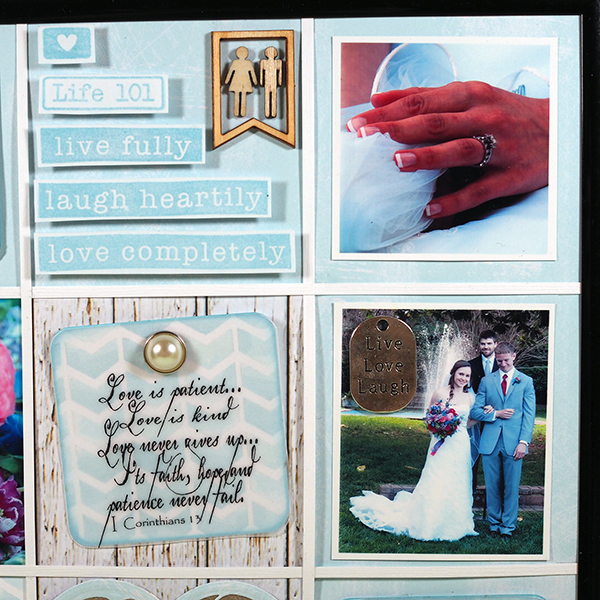 I love the grid pattern, which allows you to add so many photos! Gorgeous. Adorable and sweet layouts you have design here...And to me look likes alot of fun products you were using !